Ontario's Human Capital Priorities Stream targets foreign skilled workers in the Express Entry pool with the necessary education, work experience, language proficiency, and other characteristics to settle and become economically established in the province. To be considered under this popular Ontario Immigrant Nominee Program (OINP) stream, candidates must qualify for Immigration, Refugees and Citizenship Canada's (IRCC) federal Express Entry pool under either the Federal Skilled Worker Program (FSWP) or the Canadian Experience Class. Candidates may not apply directly to this stream. Instead, they must first receive a Notification of Interest (NOI) from the OINP based on their Express Entry profile. Candidates identified by the OINP will receive an NOI, which will invite them to apply online to the OINP for nomination under the Human Capital Priorities Stream. From this point, selected candidates have just 45 calendar days to apply to the OINP under this stream. It is important to note that applications submitted outside the 45 calendar days will not be processed. 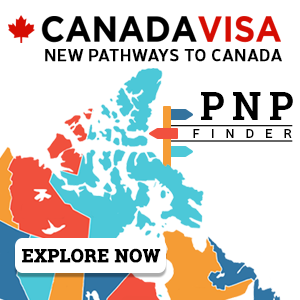 If their application is approved, candidates will be notified of their nomination by the OINP, which they can accept and use to apply to IRCC for permanent residence. * In September 2018, the Government of Ontario replaced the eligibility requirement of at least 400 CRS points for the Human Capital Priorities Stream with a requirement that candidates "must have a minimum CRS score as determined by the director." The CRS scores of candidates issued invitations in three out of the eight HCP draws in 2018 were lower than 400. See a complete list of draws under the Invitation History section of this page. Candidates applying through the FSWP must meet the pass mark of 67 points based on IRCC's Federal Skilled Worker selection factors: language skills, education, work experience, age, arranged employment in Canada, and adaptability. Note: The ECA report must not be more than five years old as of the date of applying to the OINP. Test de Connaissance du Français (TCF Canada) for French. The OINP accepts applications submitted while on implied status. Possess sufficient funds to cover settlement costs in Ontario. This requirement can be met by one or a combination of factors listed by the OINP, such as bank statements, annual earnings from ongoing employment in Ontario, and/or a job offer in Ontario. The required settlement funds must be equal to or greater than the sums listed for each family size. Requirements for settlement funds are updated annually. Full-time work consists of at least 30 hours of work over a period of one week in one job and consists of at least 1,560 hours of paid employment in one year. Note: Work experience that amounts to 1,560 hours but is obtained in less than a year or as volunteer work does not qualify or count as valid work experience. Continuous work means there are no gaps between periods of employment. Work experience may consist of back-to-back jobs with the same or different employer(s) (with no gap in between), but at least one year must be in the same National Occupational Classification (NOC) occupation as the primary NOC declared in the Express Entry profile. at least 30 hours of work over a period of one week in multiple concurrent jobs and consists of at least 1,560 hours of paid employment in one year. FSWP candidates may claim work experience obtained while self-employed to meet the minimum work experience requirements. Self-employment experience must have been paid, full-time (or the equivalent in part-time), and in Skill Type 0 or Skill Level A or B of the NOC. Note: The OINP will require documentation that is independently verifiable through third parties as proof of self-employment, as well as evidence of ongoing payments for the services provided (e.g. invoices). Hours of employed work must be quantifiable to prove that the candidate accumulated at least 1,560 hours over one year of employment. The OINP will not accept reference letters written for candidates by the candidates' themselves, their business partners and/or family members. Full-time work consists of at least 30 hours of work over a period of one week in one job and consists of at least 1,560 hours of paid employment in one year. Volunteer work and unpaid internships do not count as valid work. Cumulative means that the work experience must be equal to one year. There can be gaps in employment and work experience does not have to be continuous (back-to-back). Candidates must have held legal status while working in Canada. Paid work experience obtained while studying full-time at a post-secondary institution (i.e. co-op work term) or during periods of self-employment are not eligible when assessed under the CEC. Applicants must have received a NOI from Ontario through their Express Entry profile in order to apply through this stream. A NOI is valid for 45 calendar days, which means that an application to the OINP must be submitted within 45 days. Candidates in the Express Entry pool who have been issued a NOI are advised to become acquainted with the document checklist in advance and prepare accordingly. 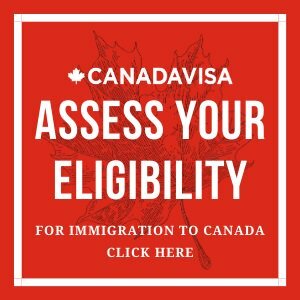 Step 1: Satisfy eligibility criteria of the Federal Skilled Worker Class or the Canadian Experience Class. Step 2: Create an Express Entry profile. Step 3: OINP identifies candidates in the Express Entry pool. Step 4: Receive a NOI from the OINP. Step 5: Apply to the OINP under the Human Capital Priorities Stream within 45 calendar days after receiving a NOI from Ontario. Step 6: If nominated, candidates obtain a Nomination Approval Letter and an OINP Certificate of Nomination by email. Candidates have 30 calendar days to accept the nomination in the Express Entry system. Step 7: If a nomination is accepted, Express Entry candidates are awarded an additional 600 CRS points and an Invitation to Apply (ITA) for permanent residence at a future draw from the pool. Step 8: Submit an application for Canadian permanent residence to IRCC within 60 days of receiving the ITA. *Invitations to Express Entry candidates with job offers in Ontario. **On March 28, the second HCP draw targeted Express Entry candidates who demonstrated French language ability of CLB 7 or above.